(Bloomberg Businessweek) -- In 2015, when Divinity Matovu was preparing to enter the full-time MBA program at the University of Pennsylvania’s Wharton School, she was caring for her 3-year-old daughter, grieving her mother’s death, and going through a divorce. “I was very concerned about whether I’d be able to pull this off and actually do the program,” she says. Her decision to proceed was influenced by women she met in prep programs, including one run by Forté Foundation, a consortium of companies and schools whose mission is to increase the share of women business leaders. Matovu says the mentor she was paired with through Forté’s 10-month MBALaunch program boosted her confidence and was “critical” to her success. 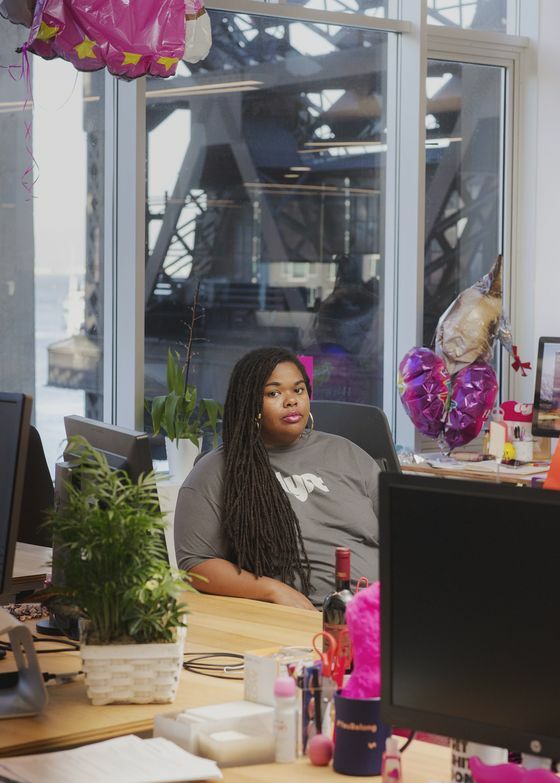 After completing her degree last year, she took a job at Lyft Inc.’s San Francisco headquarters, overseeing driver community management. MBALaunch is part of a larger effort to close the gender gap in B-schools and the workplace. The push has taken on greater urgency in the past year, as gender parity in MBA programs continues to elude schools, despite some improvements. Many are teaming with nonprofits such as Forté and the National Association of Women MBAs, holding networking events for women and offering scholarships. “The more women you have in classrooms, the more women who want to come to your business school,” says Forté Executive Director Elissa Sangster. The share of women to receive full-time MBA degrees from U.S. schools was below 38 percent from mid-2012 through mid-2017, according to AACSB International, an accrediting organization. Also, since 2012 the number of women applying to full-time MBA programs has “hit a plateau,” according to a 2017 paper from the Graduate Management Admission Council. Meanwhile, about 21 percent of S&P 500 company board members are women. Kellie McElhaney teaches The Business Case for Investing in Women at the University of California at Berkeley’s Haas School of Business. First offered in 2013, the course was initially based on McElhaney’s research that showed a strong correlation between the number of women in leadership roles and how well companies perform. She found that companies with greater numbers of women in leadership have higher share prices and better returns on equity and investment. McElhaney says business schools must commit to developing leaders who champion diversity. The popularity of her course and heightened interest culturally around its themes led McElhaney and the school to launch the Center for Equity, Gender, and Leadership in November. Through specialized courses, fellowships, and student research teams, McElhaney wants the center to help graduate more women—and men—who understand the business value of equity and how to achieve it. Today’s generation of students is frustrated by the slow pace of progress, she says. The competition to draw female applicants is intensifying. “Right now, schools are spending a lot of energy on trying to attract female MBAs,” says Pam Delany, director of recruiting and admissions at Arizona State University’s W.P. Carey School of Business. In 2015 the school announced it would grant scholarships to cover tuition for all students, male and female, accepted into its full-time MBA program. The share of women enrolled rose to 39 percent in 2017, from 30 percent when the scholarship was created. Carey’s dean, one of only a handful of female B-school deans in the U.S., and mentorships with senior executives are also a draw, Delany says. Achieving parity is only an initial step—the biggest hurdle is getting businesses to change their corporate cultures to create more equitable workplaces, says Julie McReynolds, national director of operations at the National Association of Women MBAs. “There is a perception in the business world that ‘oh, this problem is solved,’ and it’s really not,” Kellogg’s Taaffe says. Columbia Business School MBA candidate Lindy Gould, whose Instagram bio describes her as a “lover of bananas, half-marathons, and dismantling the patriarchy,” is eager to help underrepresented groups. She was elected co-president of her MBA program in March. She says schools should do more, from hiring diversity officers to requiring classes on managing diverse teams. “I don’t think that’s a crazy thing to ask,” she says.